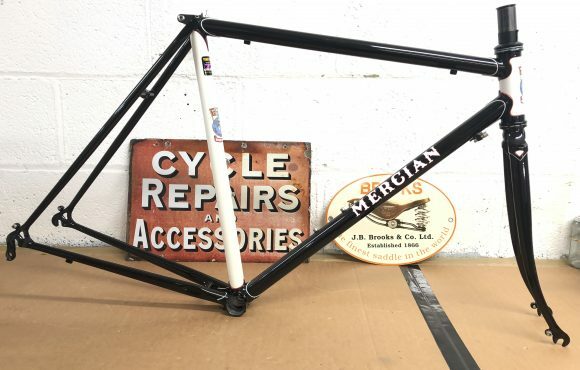 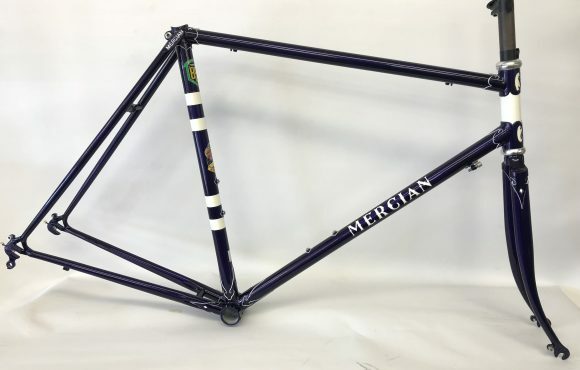 Mercian Audax built from Reynolds 725 tubing. 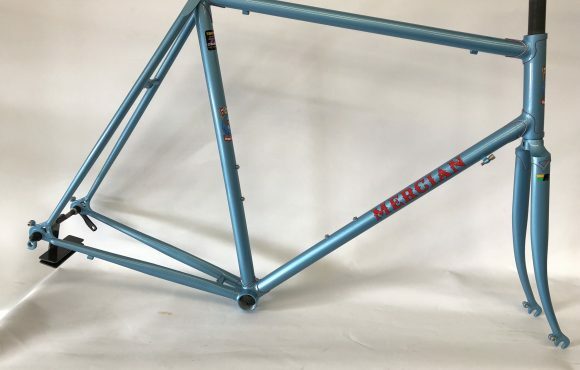 The frame size is 57cm with a 57cm top tube. 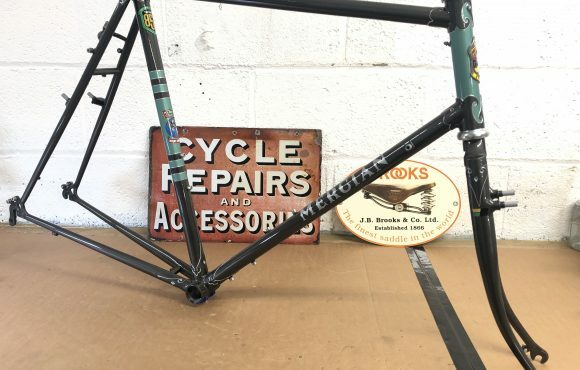 Built to accept a 32mm tyre and mudguard and 47/57. 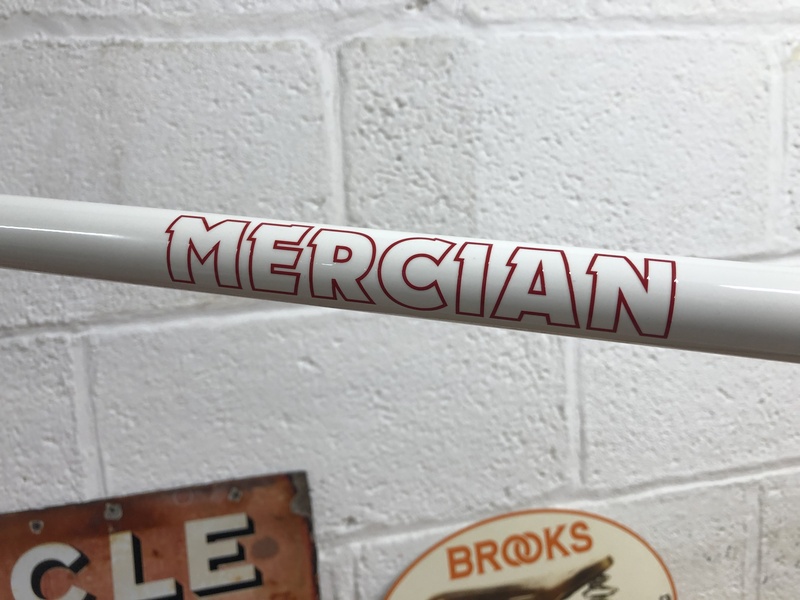 The fork is A-Head design and is 1″ . 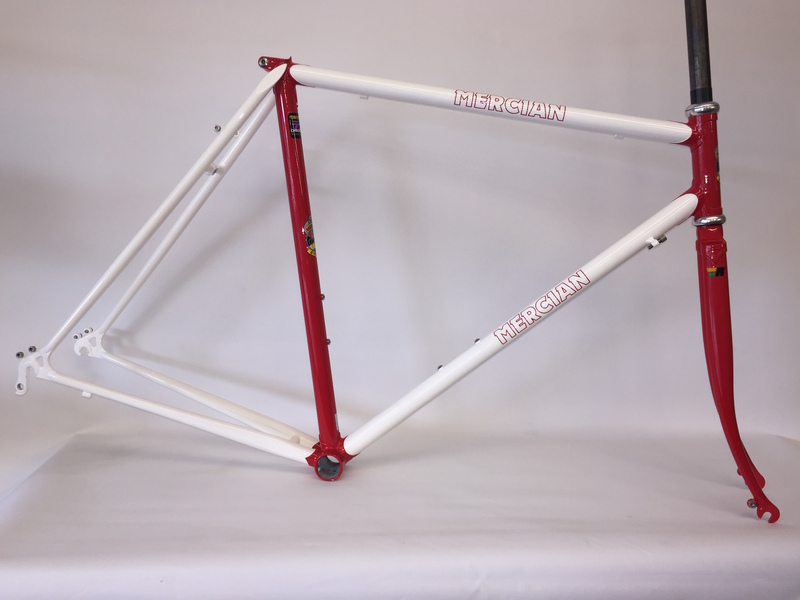 Brazing include 4 point rear rack eyes and two sets of bottle cage mounts. 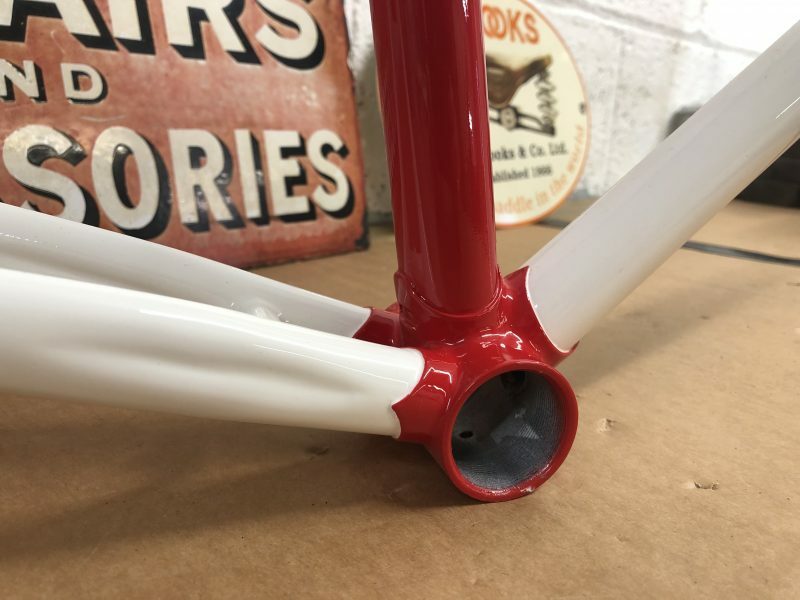 Main finish is White enamel with Red enamel seat tube head tube lugs and fork. 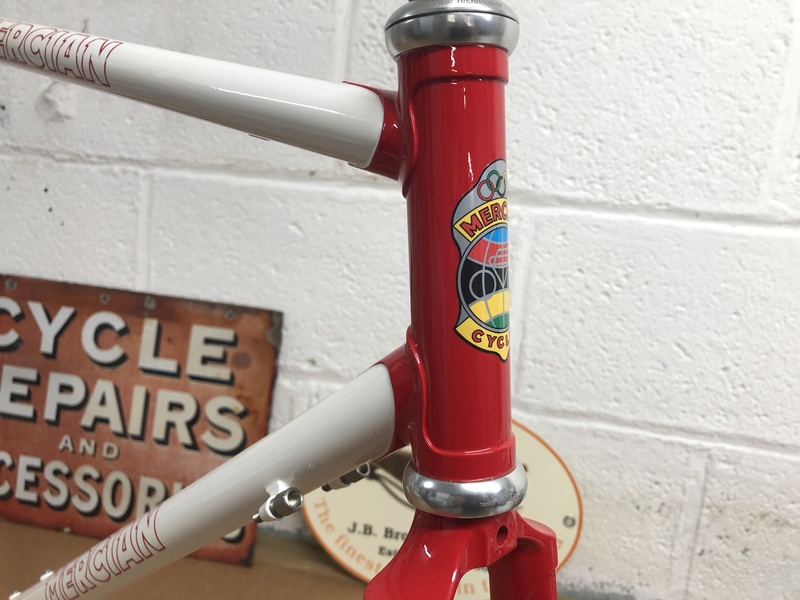 Gothic “Ghost” transfers with the 1950’s transfer head and seat crest. 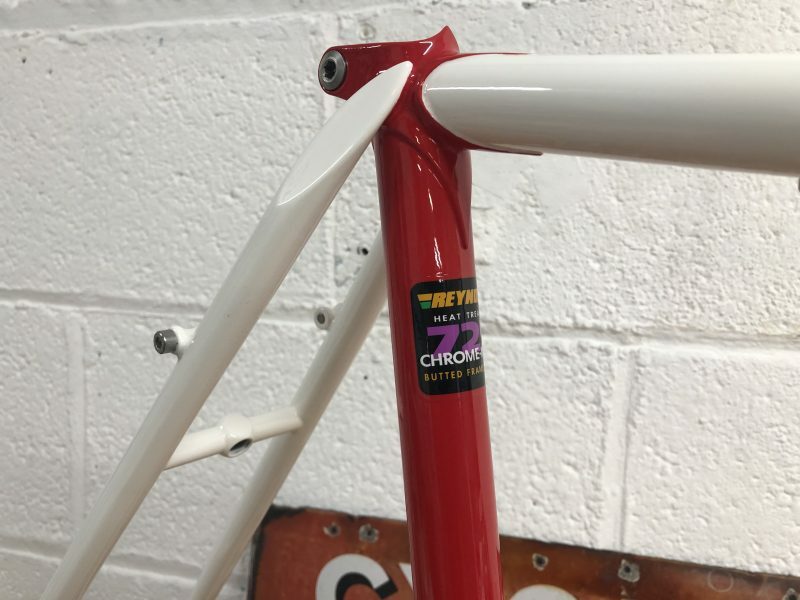 and of course the Reynolds 725 transfers.